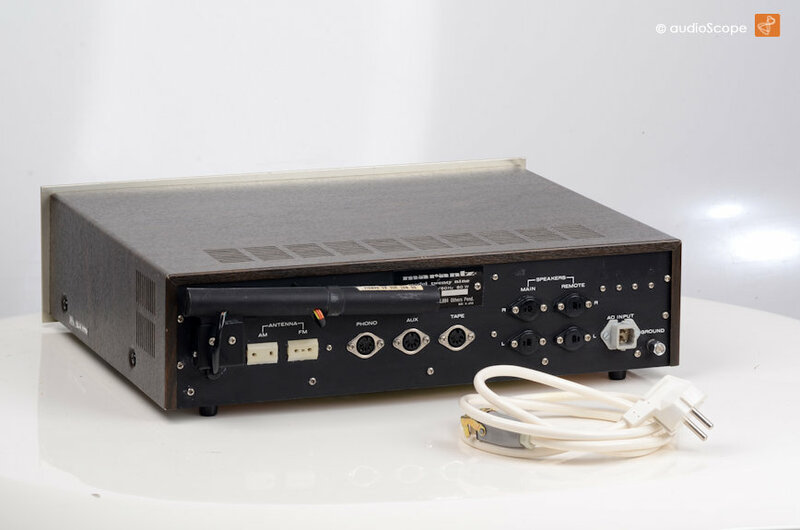 An original "Made In USA" first generation Receiver from the end sixties. 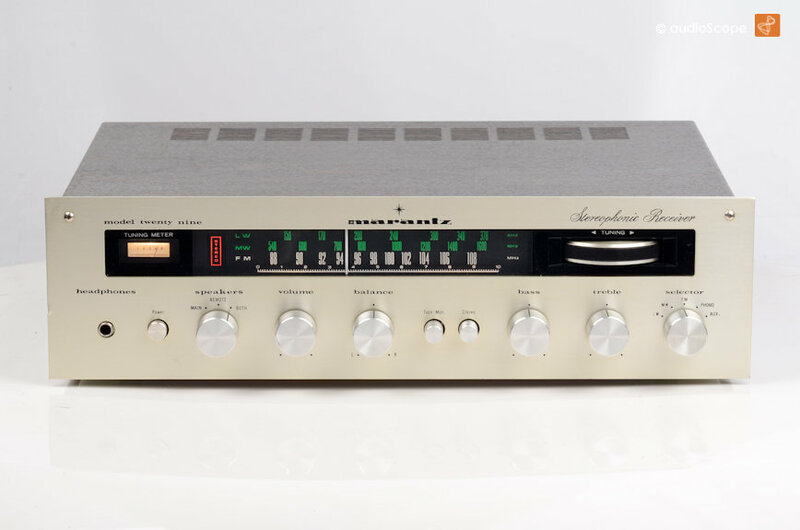 Definetly, the sweetest designed Marantz Receiver. 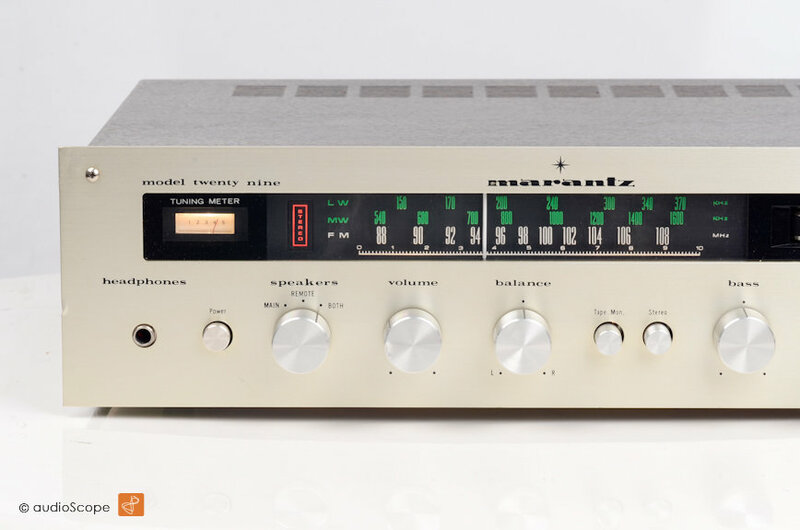 X-Rare, seen in Europe only, with short wave! Unfortunately, the left upper front plate corner was bend. We fixed it as good as possible, but depending on the light, you can still see it more or less. 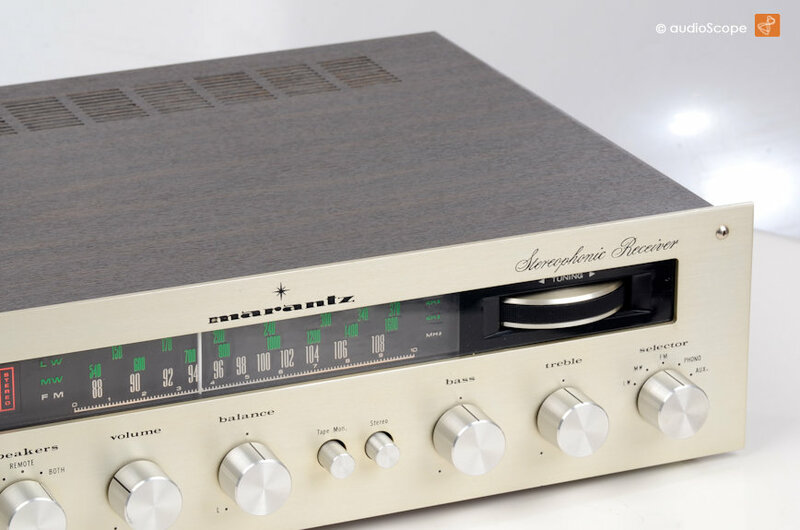 Technically, this unit is in perfect condition and sounds beautiful. 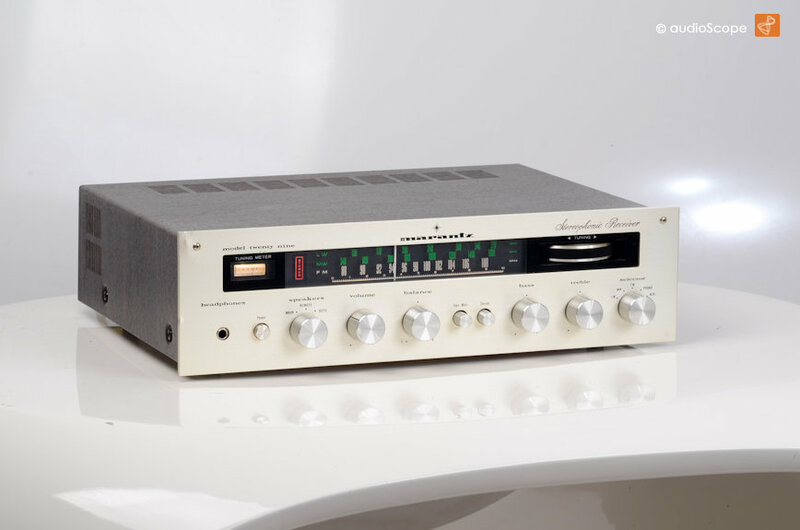 A perfect every day unit with a very receptive tuner. Finest quality. We will deliver this including speaker cables and RCA adaptors for the inputs.